Inequalities existing in Indian rural regions are still persistent and multiform: they respond to caste, social classes, income, land access and gender. Far from the idea conveyed by statistics and official documents, land access in the Indian countryside remain strongly unequal while power relations are very polarized. 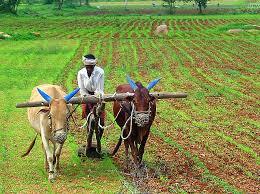 India is the country where more land reforms have been registered worldwide. However farming land is still concentrated in a few hands. Most of the landless peasants have no option but to accept very precarious tenancy agreements (principally share-cropping arrangements) or to sell their own labor force. Such a situation has led to a social breakdown of peasantries in India’s rural areas. Land, mostly controlled, owned and inherited by men, still remain the principal source of economical and political power in rural India. Together with economic inequalities directly related with access to land, caste-based exclusion also exists. Thus, according to customary laws, Dalit are excluded from land access. Liberalization policies implemented in India since 1991 have sharpened these structural inequalities. Liberalization of the market of agricultural products together with the gradual reduction of public support have seriously affected poor rural population and have increased their distance with respect to the rural ruling classes. These ones, keeping control over land and natural resources (irrigation water for instance) and still highly supported by the State, are able to obtain substantial income from agriculture. See some excerpts of this conference below.